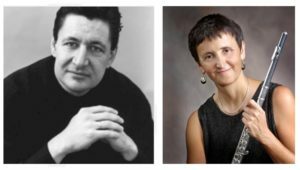 AMO: A Musical Offering – The mission of AMO: A Musical Offering is to support the musical arts in Gainesville and North-Central Florida through commissioning, performance, and education outreach. The mission of AMO: A Musical Offering is to support the musical arts in Gainesville and North-Central Florida through commissioning, performance, and education outreach. 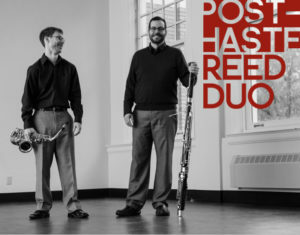 A Musical Offering is currently updating our website. 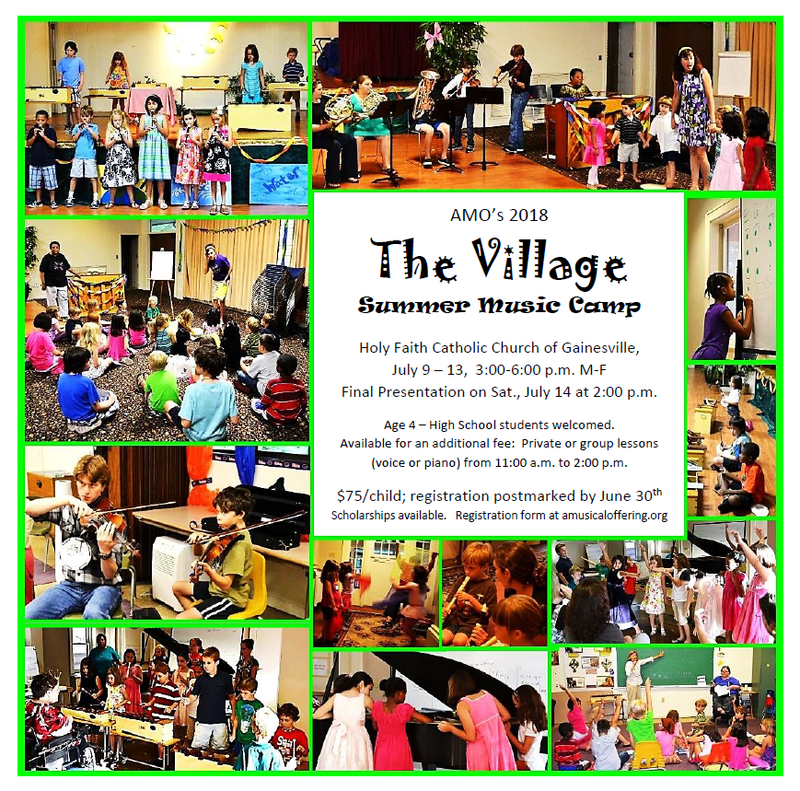 For more information, download the 2018 AMO Summer Camp Registration Form, contact contact Nansi Carroll at 352-318-1790, email amusicaloffering@gmail.com, or visit our FaceBook page. To reserve your child’s space, write your check for $75 per student payable to: A Musical Offering, Inc. with “AMO Camp” on the Memo line. Mail your check and this form to AMO Camp, PO Box 359032, Gainesville, FL 32635.
Who? 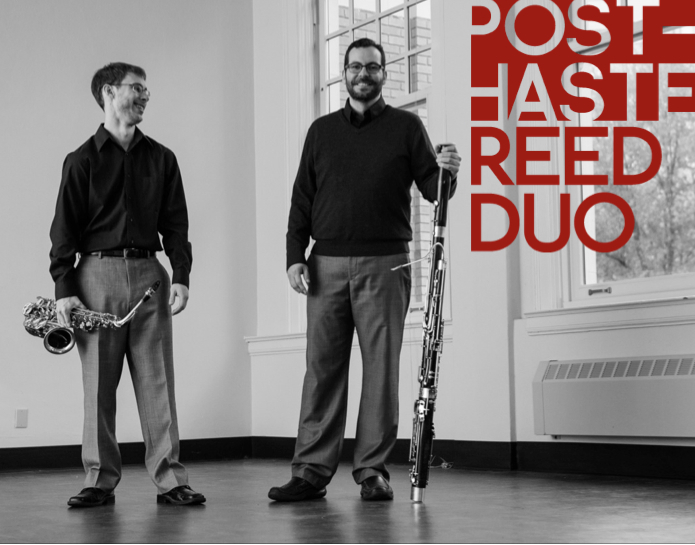 Guest performers will include the Post-Haste Reed Duo (Sean Fredenburg on saxophone & Javier Rodriguez on bassoon) and the Tosca Duo (Lynne Musco & Shawn Copeland on clarinets). 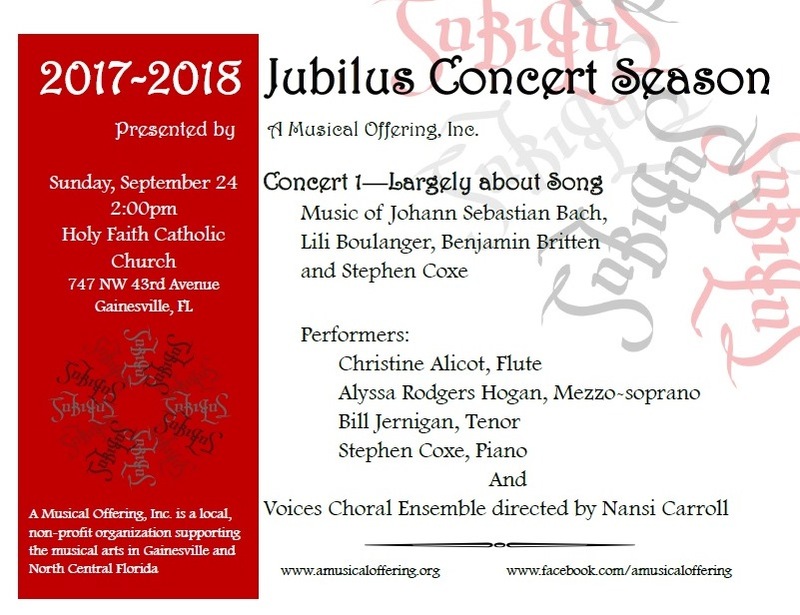 Local flutist Christine Alicot and cellist Steven Thomas will also be performing; as well as Jubilus co-artistic director Stephen Coxe, singers Sofia Couret, Katherine Graham, and Jose Gabriel Sanchez; clarinetist Rebecca True; mariba player Myles McLean; and the Voice Choral Ensemble. What? 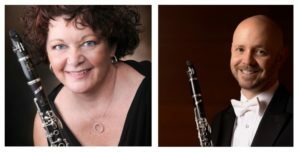 Pieces will include world premieres of compositions by Nansi Carroll & Sheila Forrester, as well as a trio by Francis Poulenc. Where? Holy Faith Catholic Church, 747 NW 43rd Street, Gainesville. 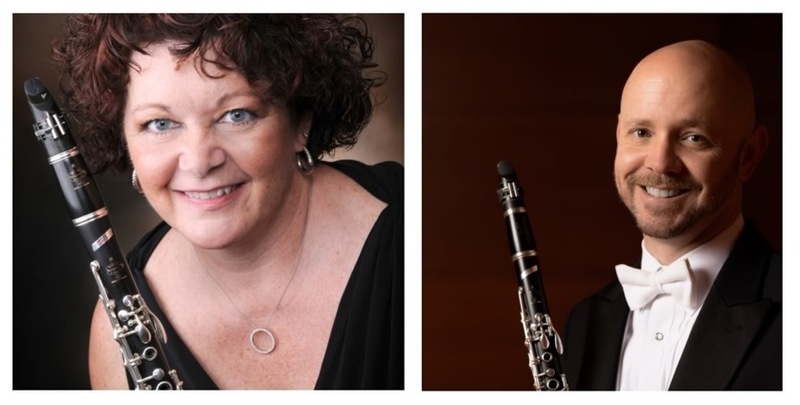 Sunday, September 24th at 2:00 p.m.
What: The Village Summer Music Camp’s goal is building a strong vibrant community through exploration: exploring the relationships within music, exploring music as a means of communication, & exploring musical creativity. When: Monday, July 10 through Friday, July 14 from 3:00pm – 6:00pm, with the children’s Final Demonstration on Saturday, July 15 at 2:00pm. 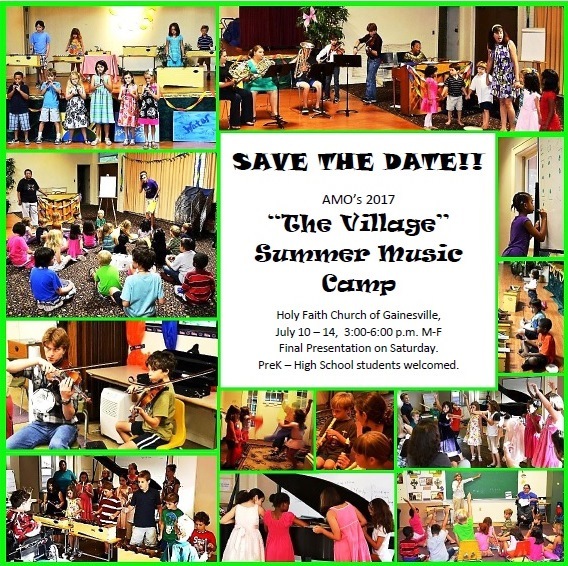 How to Register Your Child: Click to download and fill out one 2017 AMO Summer Camp Registration Form per child. 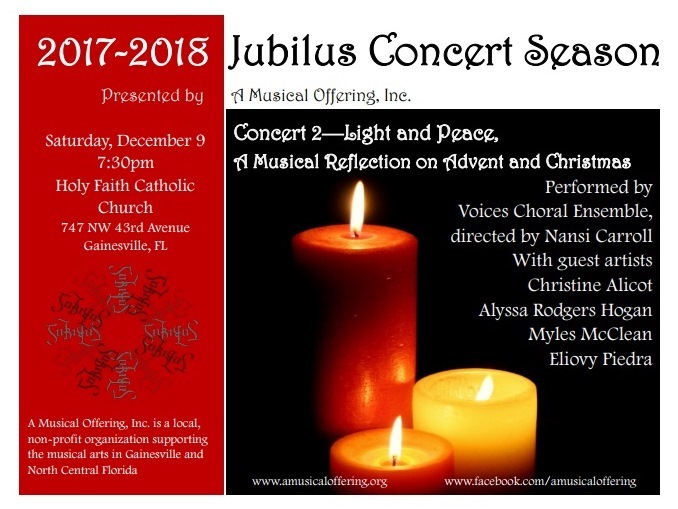 Write your check for $75 per student payable to: A Musical Offering, Inc. with “AMO Camp” on the Memo line (or pay with credit card or PayPal instead below). Mail your forms (and check) to AMO Camp, PO Box 359032, Gainesville, FL 32635. Optional private or group lessons in voice and piano are available from 11:00 am to 2:00pm for an additional fee paid to the individual instructor. Pre-camp day care will be offered from 9:00 am until 3:00 pm for $4.00 per hour per child, $10.00 a day per child, or $50 per child for the entire week. Day care is paid directly to Cristina Truman. A Musical Offering, Inc. (AMO) is a registered non-profit organization through the state of Florida. 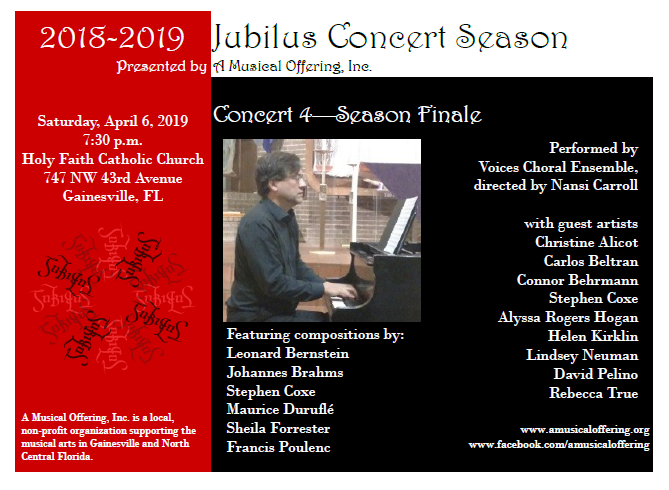 Our mission is to support the musical arts in Gainesville and North-Central Florida through educational outreach, commissioning, and performance–including the annual Jubilus Festival. For more information, look for us on FaceBook. A COPY OF THE OFFICIAL REGISTRATION AND FINANCIAL INFORMATION MAY BE OBTAINED FROM THE DIVISION OF CONSUMER SERVICES BY CALLING 1-800-HELP-FLA (435-7352) TOLL-FREE WITHIN THE STATE . REGISTRATION DOES NOT IMPLY ENDORSEMENT, APPROVAL, OR RECOMMENDATION BY THE STATE. REGISTRATION CH-42584. 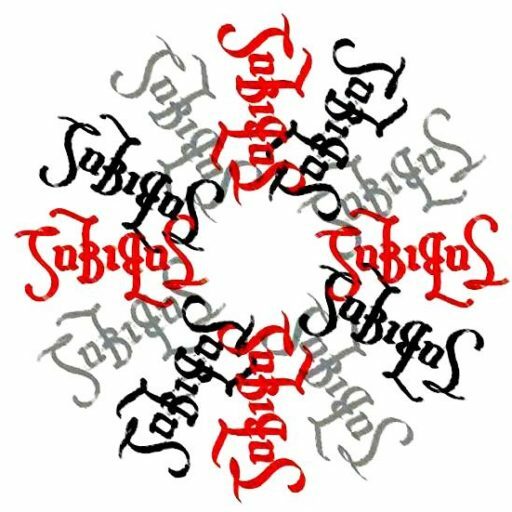 Please excuse us as we replace our old website.